We are a premier music school located in the San Francisco Bay Area, California. We welcome all music students who want to learn to play a string instrument. Our educational philosophy is primarily based on the principles of the Suzuki Method and the foundation of our curriculum is lessons in Suzuki violin, viola, and cello. SSA welcomes school age string students from all other teaching methods for private instruction, group classes, orchestra, and chamber music. Sycamore Strings Academy partners with the Livermore Valley Performance Arts Center (LVPAC), using the facility at the Bothwell Performing Arts Center in Livermore. SSA also cooperates with the Crowden Center for Music in the Community (CCMC) in Berkeley and the New World Music Academy (NWMA) in Pleasanton. SSA is an approved vendor, providing music instruction to home schooled students through Connecting Waters Charter School. SSA’s classes are held primarily in Livermore, Pleasanton, and Danville. To enroll in our program, start by filling out an Enrollment Form for Strings, 2014. Because of high demand, students will be admitted on a first come – first served basis, so send your forms in as early as possible. Group & individual classes in Suzuki violin, viola, cello, and bass with certified Suzuki teachers: Available for beginners from age 3 to 8. Note Reading & Music Theory: All Suzuki students who have reached an appropriate age level and technical ability will get instruction in note reading & music theory, developed and implemented by our faculty and directors. Parent Education: Introduction to Suzuki is offered prior to starting beginner students. For the latest information about this important class, follow the link Introduction to Suzuki. Sycamore Junior Chamber Orchestra (SJCO): Provides students with their first time and first class orchestra experience. Sycamore Chamber Orchestra (SCO): for advanced string students. Chamber Music Classes: for advanced string students. Private instrumental instruction, designed for school age children who want to take private lessons on their string instrument. Adjusted traditional & Suzuki inspired methods will be applied by our highly trained faculty to best fit each student. Orchestra and Chamber Music classes by audition. Students are not required to take private lessons with SSA to be members of our orchestra or chamber music classes. Students may apply to orchestra or chamber music classes only. Our very popular Guitar With Christina program is no longer available. Christina Bergs is dearly missed by her students, parents, and all those who have worked with her. Annual concert and recital series with student performers, 10 – 12 events per year. Performance is integrated in the annual curriculum as part of the education for everybody, young beginner as well as experienced older students. Suzuki student students will receive a child-centered, individualized music education as well as experience playing in a group. Parents and students have the opportunity to learn together according to the teachings of Dr. Shinichi Suzuki from teachers with certified Suzuki training. All SSA students on the violin, viola, and cello will have access to private lessons and classes in orchestra, fiddle, chamber music, and will have multiple performance opportunities. Our affiliation with the Livermore Valley Performing Arts Center allows SSA to offer our students excellent performance facilities like the Bothwell Performing Arts Center and the Bankhead Theater. Our partnership with Livermore-Amador Symphony organizing LASYO, the Summer Youth Orchestra, is active in June through August. The orchestra will be conducted by Goran Berg, SSA Director. SSA offers an annual concert series for all students to participate in, with formal concerts, student recitals, fiddle sessions, and community performances, as well as our own annual Young Musicians’ Festival with performances by invited groups as well as the SSA students. Our performances are a very important part of our students’ education. Our partnership with the Crowden Music Center in Berkeley provides a direct connection between SSA and the music education world of the greater Bay Area. Teachers from the SSA faculty currently teach Suzuki classes at CMC. Our partnership as vendor to Connecting Waters Charter School provides financial support for home school students when studying with SSA. 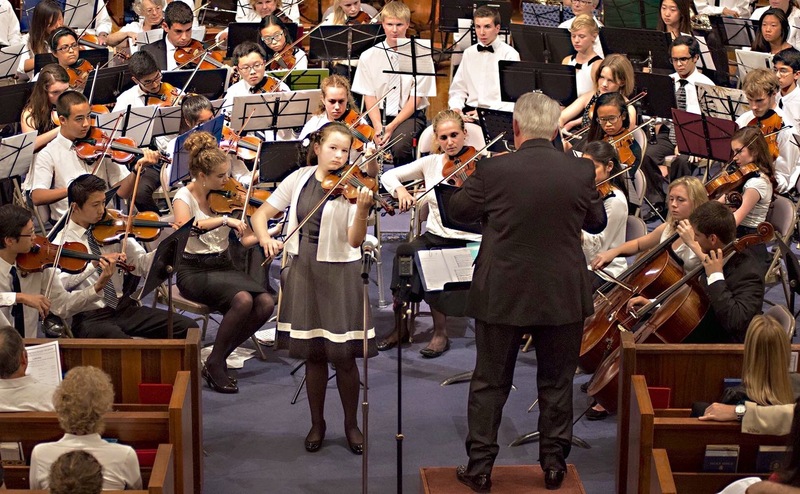 Sycamore Strings Academy partners with the Livermore-Amador Symphony Association in organizing a Summer Youth Orchestra for musicians ages 13 to 21 – the Livermore-Amador Symphony Youth Orchestra, or LASYO. The orchestra meets during the summer months each year. For information and registration about the summer youth orchestra, please contact Betsy Hausburg: vdt.director@sbcglobal.net or (925) 443-6953. Link: Livermore-Amador Symphony Youth Orchestra.